If you are joining us for a holiday this half term you are in for a treat. Wildlife is changing its behaviour now that autumn is here and the river banks are ablaze with autumn colours. Our winter visiting species are starting to flock to the Broads and many of our rarer and shyer wildlife is coming into the open now that there is far less boat traffic to disturb them outside the busy summer season. We were delighted to spot a bittern on Horning reach recently. The rare and illusive bird flew over the top deck of the Cordon Rouge trip boat, which belong to our sister company Broads Tours. “I’ve spent much of my life on the Broads and have only seen a bittern a handful of times, usually from a long distance as the birds are very shy and masters of camouflage. To see a bittern so close up was magnificent and really quite exciting! “We have glimpsed the bittern a few more times hiding in the reeds, but it will take something special to beat the booming marvellous flypast it gave us,” Oli continued. 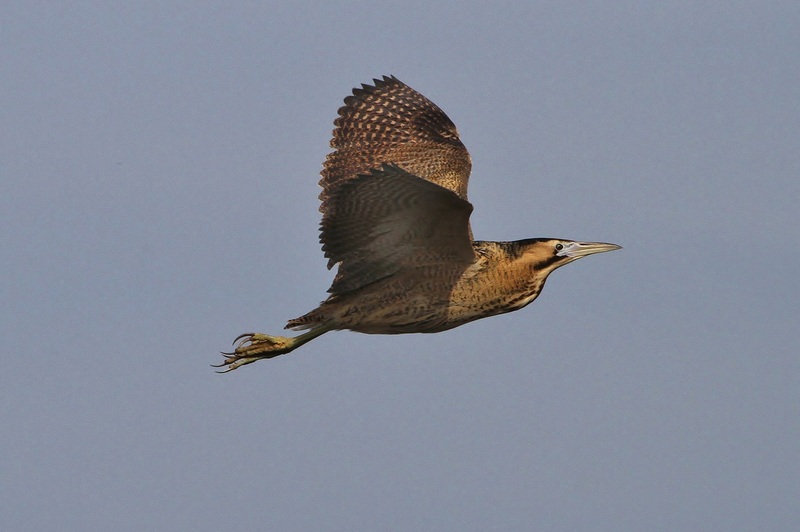 Bitterns are a brown and mottled relative of the heron with a slow ‘W’ shaped flight pattern (as shown in the above picture posted on Flickr by Jo Garbutt). The males make a wonderful booming call in the spring to find a mate by blowing out their throats. Bitterns were threatened with extinction in the 1990s but have made a good comeback due to reedbed restoration projects and has some of its most significant populations on the Broads. 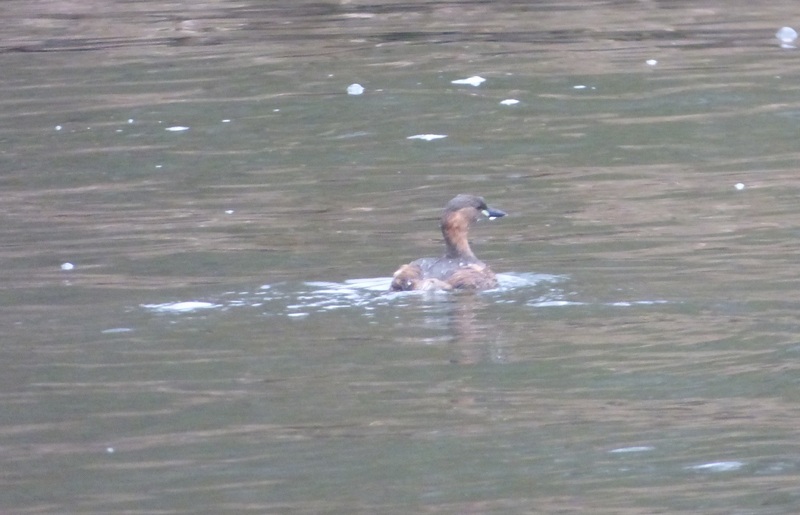 Another rare and welcome sight has been a few little grebes emerging on the S bend just downstream of Wroxham Broad. These shy little bids, sometimes called ‘dabchicks’ due to their small fluffy appearance, only venture out into the open when the river traffic starts to die down. By coming on holiday outside the busy summer months you stand a good chance of seeing them! 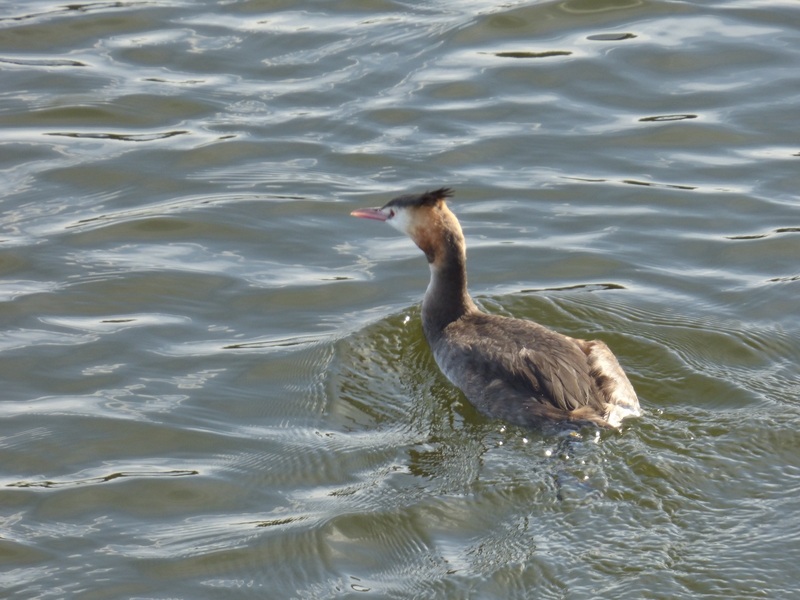 The much larger and bolder great crested grebes are changing their behaviour to flock up in groups of 10-15 birds on Wroxham Broad. Through the spring and summer great crested grebes spend their time in pairs and act territorially toward each other but at this time of year they seem happy to come together perhaps for warmth and protection. The birds’ feathers have now faded from their magnificent breeding plumage and they have a much greyer appearance probably to give them better camouflage in the colder months to come. 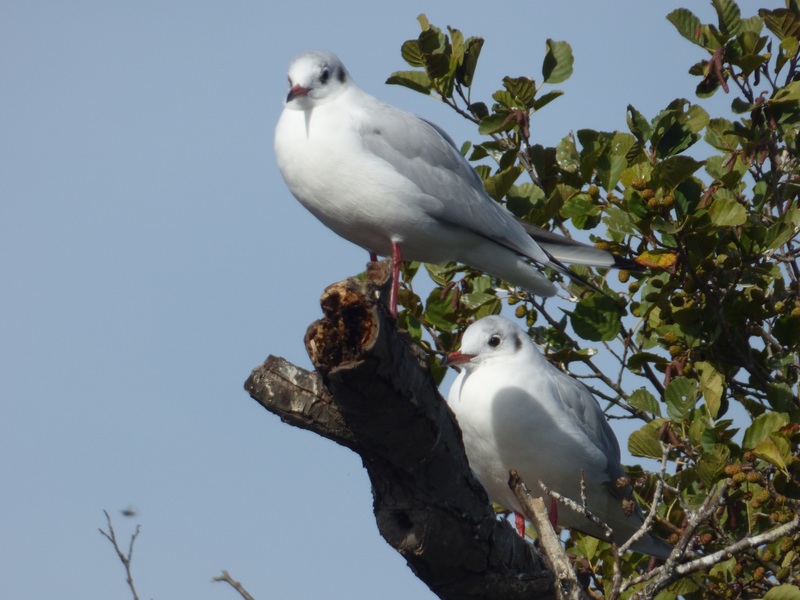 One of the most dramatic changes of plumage colour in the autumn can been seen in the black headed gull. As the name suggests, the mature birds have black heads during the breeding season but these have now faded to a pure white colour (with just a black spot behind the eye) now that autumn is here. 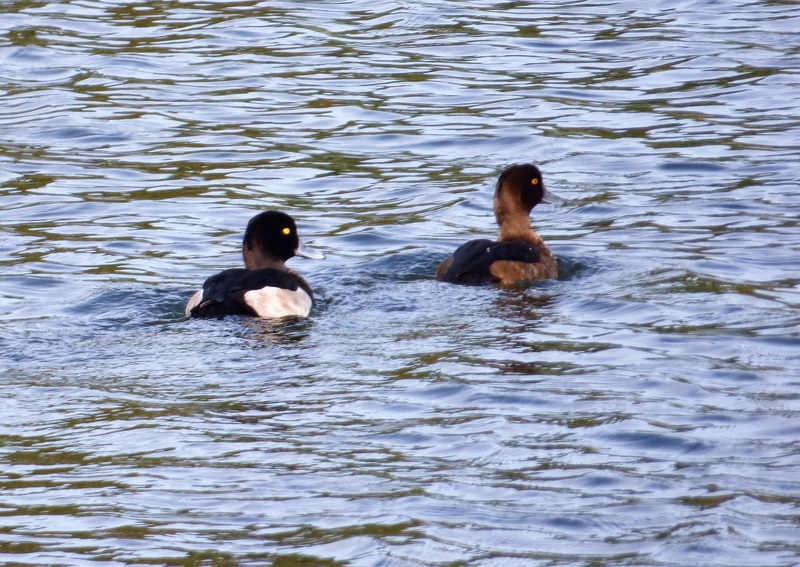 Another welcome sight is the return of the first few tufted ducks onto Salhouse Broad. These shy, deep diving ducks disappear off the broad in the summer due to all the boat traffic but now that it is becoming quieter again the birds are starting to return. The population will also soon be swelled by migratory tufted ducks returning to the UK. Another species that is beginning to grow in numbers is the cormorant. These sea birds, which are related to the shag family, move into the Broads to take advantage of the easy fishing as well as having far more protection from the elements. 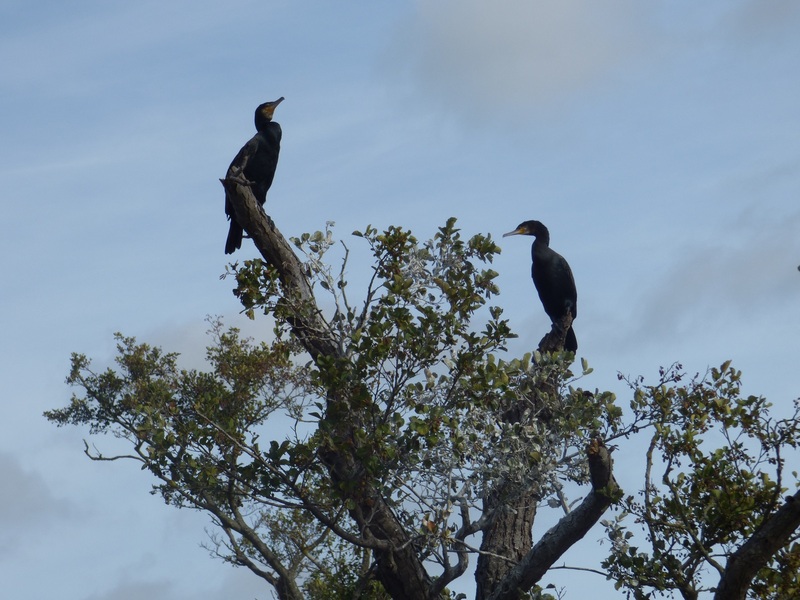 Although we see cormorants throughout the year their inland numbers increase significantly at this time of year as the conditions at sea become more challenging. 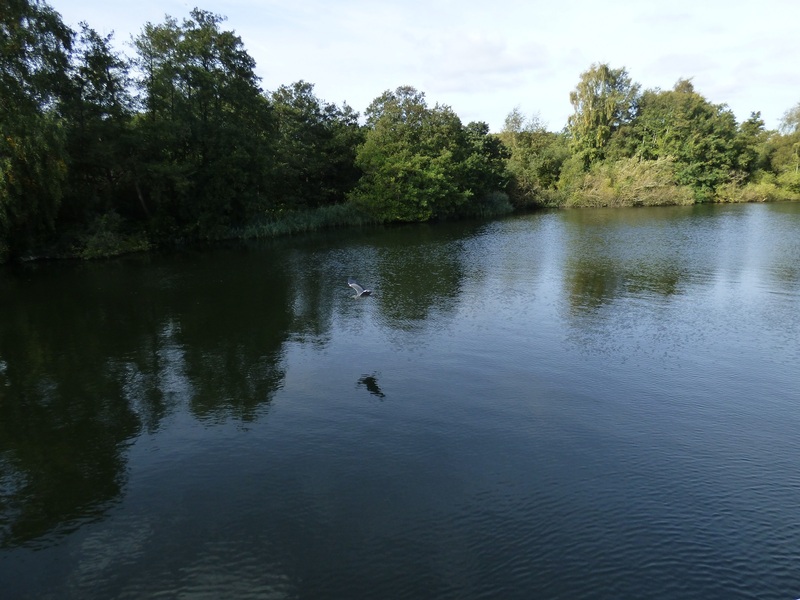 Look out for the birds fishing as well as spreading their wings on tree tops to dry out after a fishing session. They need to do this as they have not natural waterproofing oils like other birds such as ducks. 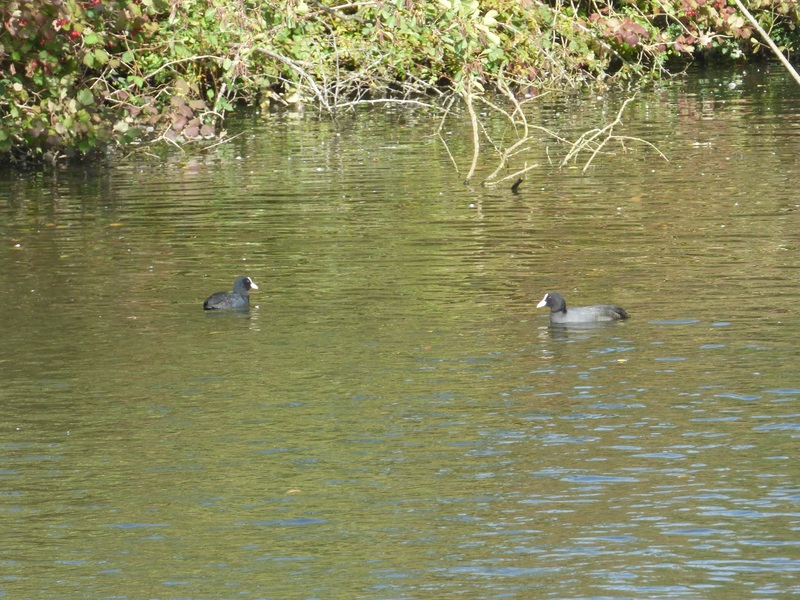 We are pleased to have seen a growing number of around a dozen coots on Salhouse Broad. There were vast numbers of these small black birds, which have a white face shield, throughout the Broads until about ten years ago but the population has drastically declined since. Let’s hope the coots on Salhouse Broad continue to do well! As if all this wasn’t enough to look forward to on your half term holiday the riverside vegetation is also putting on its annual autumn show – with the burning red of dogwood, rosehips and wild hops adding to the display of autumnal riverside trees. On this note we will leave you with this picture of a heron flying past an ‘autumn canvas’.